Nairobi, the “city under the sun”, is the metropolis of East Africa. It is an administrative, commercial and industrial centre, and a hub for road and air communications. The Kenyan capital hosts two United Nations agencies headquarters (Habitat and Environment) and a large number of international organisations, among them the All Africa Conference of Churches. 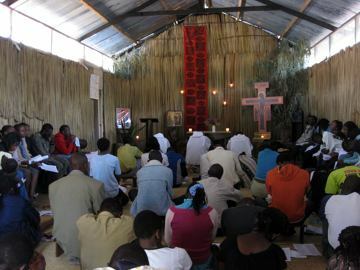 After the 2008 stage of the Pilgrimage of Trust that took place in Nairobi, the Taizé Community was invited to follow up the work started with youth. The brothers live at Mji wa furaha (the City of Joy), a youth meeting centre located on Thika road, one of the main highways connecting the city to the Central and Eastern provinces. This east side of Nairobi is home to both middle class and poorer people. From the fraternity, a short walk brings you to Korogocho and Dandora – large, poor neighbourhoods. With the years relationships have developed with young people living there. 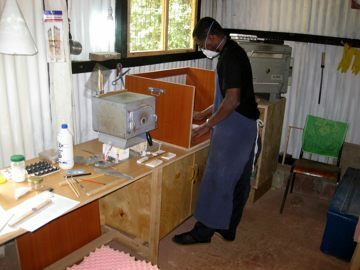 A brother takes part in the activities of the Napenda Kuishi rehabilitation center, a Comboni project begun by Italian missionaries in response to the critical situation of the street children addicted to glue sniffing. Prayer, manual work, and hospitality are the main lines of the brothers’s life. Every last week end of the month a mini-retreat is organised for young people from Nairobi and surrounding region. Friday and Saturday morning are spent together, in prayer, silence, reflection and sharing. 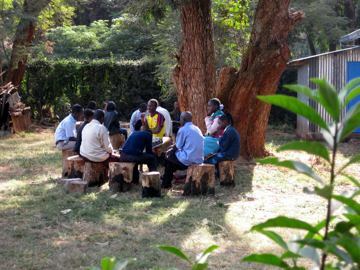 During the months of April, August and December which are holidays in Kenya, the brothers organise four-day retreats which allow young people from neighbouring countries, Tanzania, Uganda, Rwanda, Burundi, the Democratic Republic of Congo, and South Sudan to take part.